Tension headaches: Muscle tension in the head, neck, or shoulders as a result of emotional stress can cause these headaches. When muscles fail to relax, they can become constant. Migraine headaches: Migraines can be triggered by many factors including stress, hormonal changes, weather, smoke, certain foods, and even wine. They also tend to be more common in women than in men. Cervicogenic headaches: These headaches frequently cause pain in the forehead and behind the eyes. They are often a result of whiplash, poor posture, and functional or structural changes. When a headache presents itself, most people reach for an over the counter pain reliever. Some migraine sufferers even take daily medications designed to prevent a headache from starting. Unfortunately, some of these medications result in unwanted and potentially dangerous side effects. 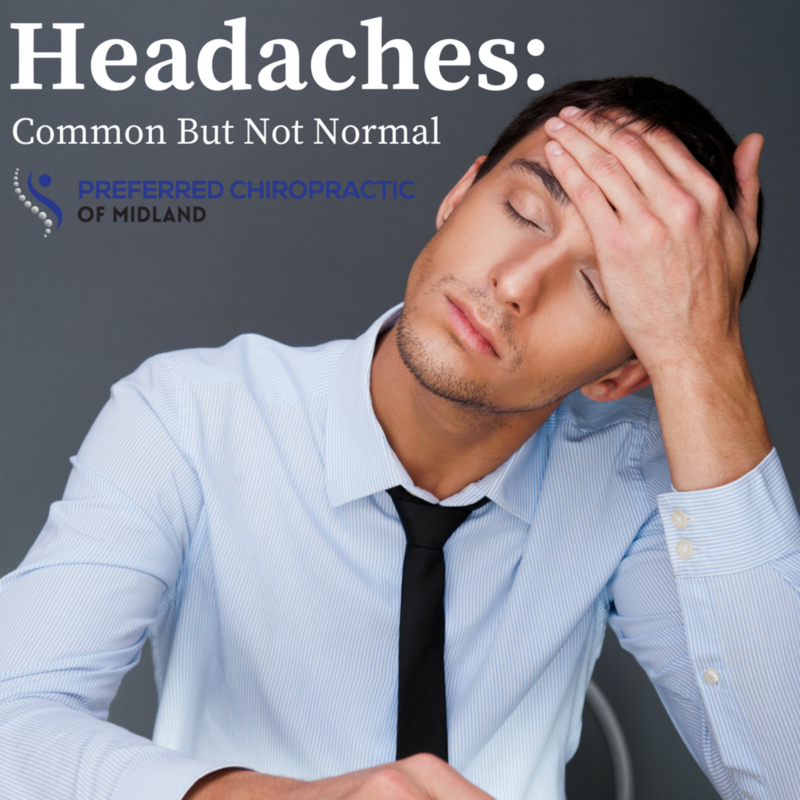 Many people understand chiropractors to be neck and back doctors, but many of our patients find relief from chronic headaches through chiropractic treatment. It is our goal to treat more than the symptoms. We want to find and heal the underlying spinal issues a patient might be experiencing that are causing headaches. This can include loss of the proper cervical curve, slight misalignments, or even the effects of spinal decay. If you are suffering from chronic headaches and would like to try a natural, non-invasive treatment, contact us. We are here to help you reach optimal health! Newer PostStand Too Much? Here Are Our Tips! Older PostIs Head Posture To Blame For Your Neck Pain?